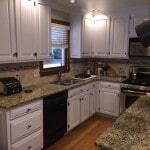 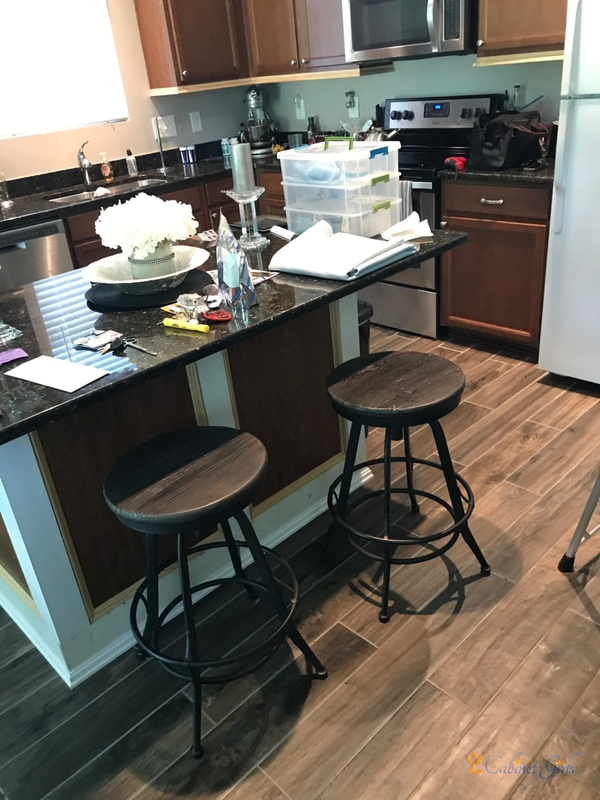 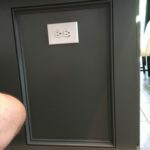 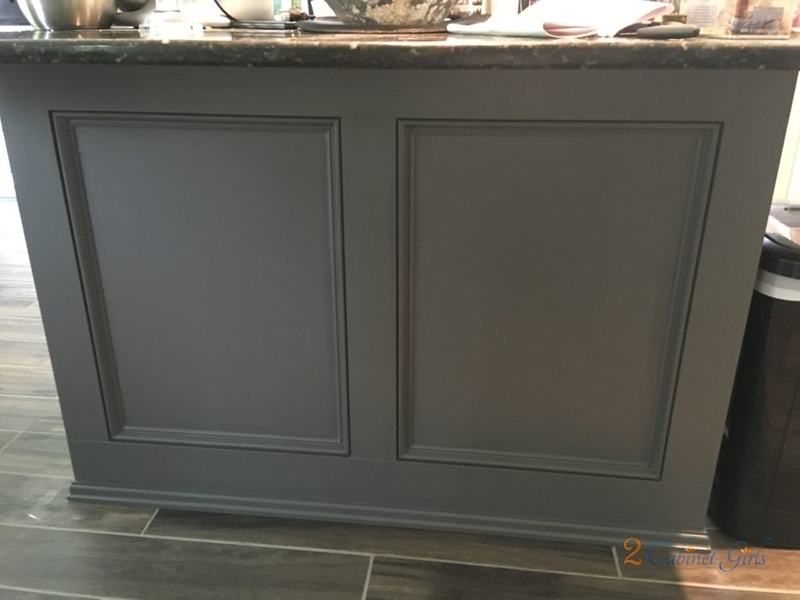 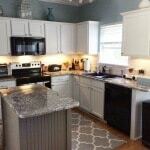 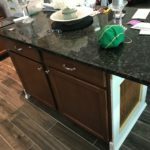 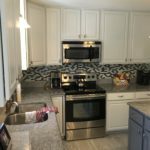 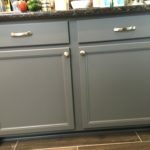 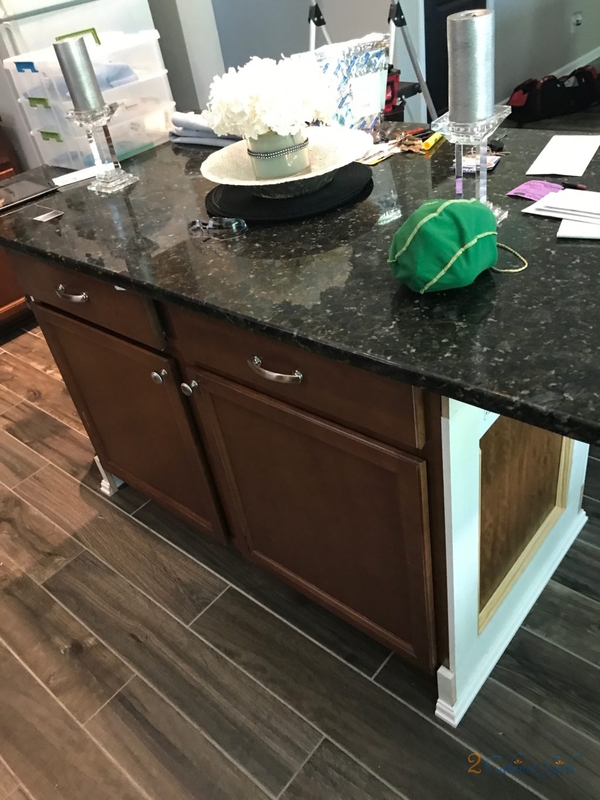 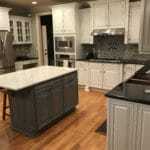 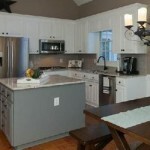 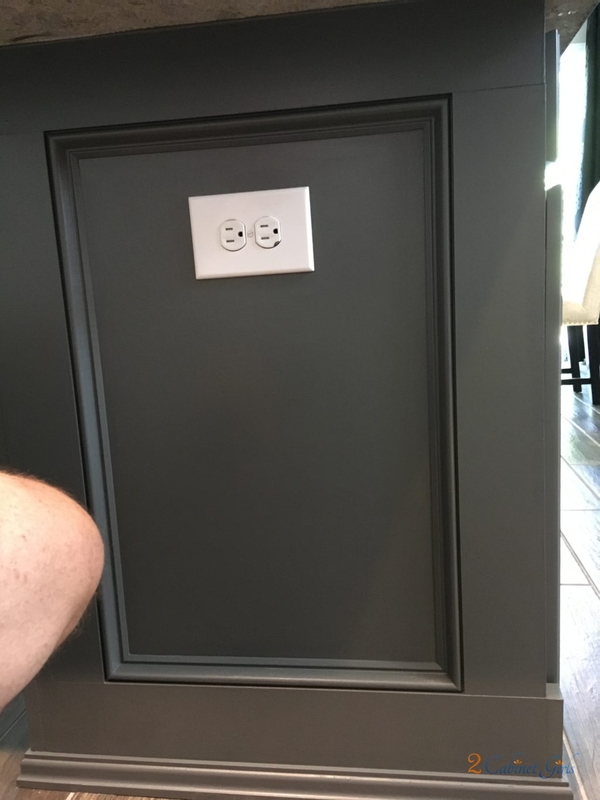 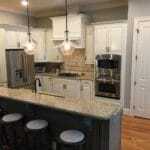 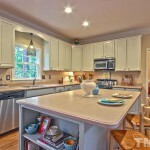 Our homeowner chose a warm, rich gray for her island, to really make it stand apart from the wall cabinets. 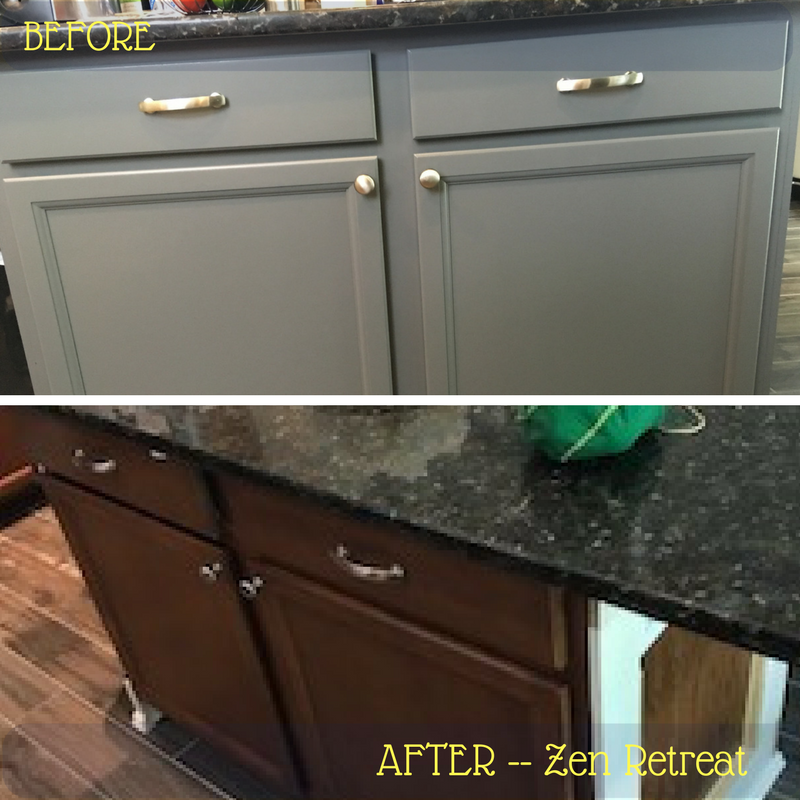 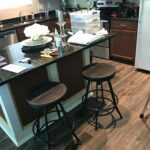 Zen Retreat, from McCormick Paints, is nice and dark without being too overpowering for the space. 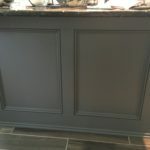 It’s the perfect paint color to anchor the island and make it feel like a separate piece of furniture. 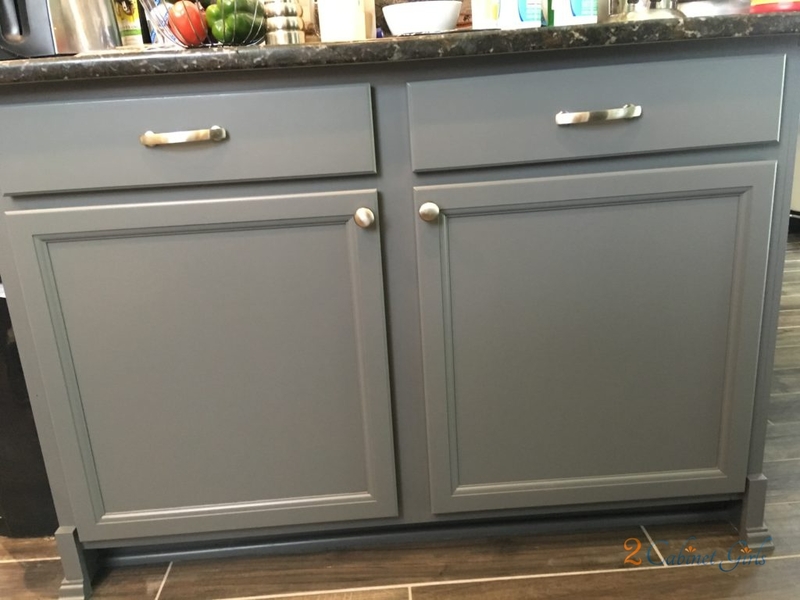 And the new brushed nickel pulls and knobs add a little added bling!